We recently finalized the 2019 SEC Football Helmet Schedule. Our SEC football helmet schedule takes quite a bit of hard work and we’re very proud of it. 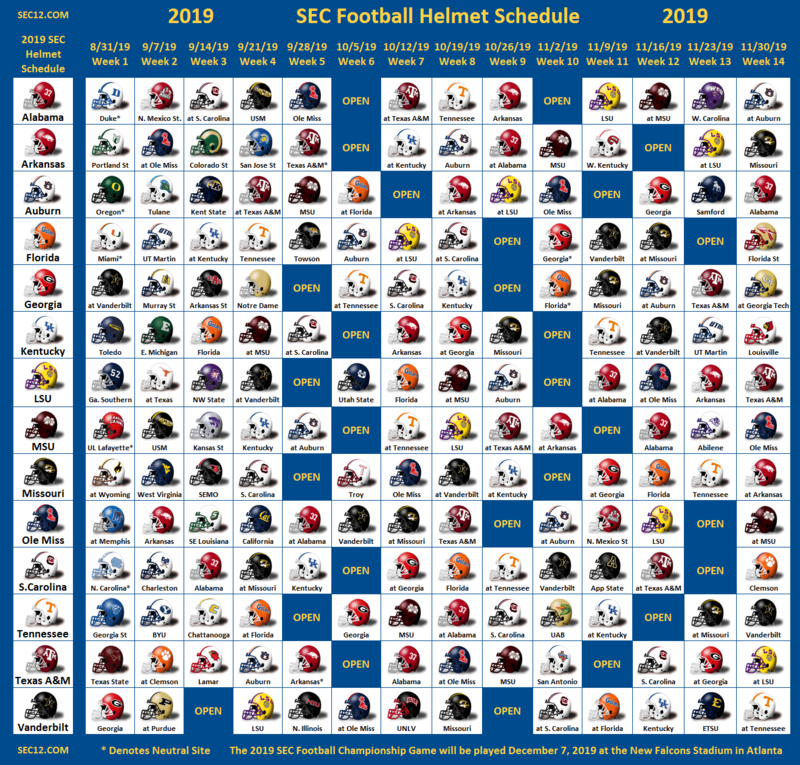 Print the 2019 SEC Football Helmet Schedule here, hang it on the wall and get ready for some SEC football! The 2019 SEC Football Schedule was finalized by the Southeastern Conference and released to the public on September 19th. The schedule is set a year in advance by the Southeastern Conference, so there may be a few changes between now and football season. We combine the SEC football schedules with team helmets to produce our one page SEC Football Helmet Schedule – it truly is a work of art. Print it out and hang it on your mantle or bulletin board for a fantastic football conversation piece. If you are looking for a convenient, one page schedule grid, then please visit our 2019 SEC Football Schedule Grid to view or print out. We know you will love it, too.